So, I wrote a piece and it's been published in a magazine and you can buy it and touch it and hold it! Here's a heavily-edited snippet from my four-page feature (!) in issue 8 of Blogosphere Magazine. In it, I also share some practical tips for taking polaroids - but if you want to read the whole thing, you're going to have get off your arse and go buy it! It's sold online, in WHSmith's, and in lots of indie newsagents across the U.K.
My first camera was a lump of plastic with a bright yellow button. It was 2000; I was five; I’d just started school; I was growing out my hair to make sure I wasn’t mistaken for a boy. Anything was possible. I don’t know if it was the new millennium or the fact that I was five, but I was pretty sure that my Polaroid i-Zone was witchcraft. Like my Game Boy Color, it was made of the semi- transparent blue plastic that screams TOY. It was shaped like a submarine and weighed way too little for an actual camera; I knew that much. But with a click of a shutter, out would pop a one-inch photo on a strip of colourful paper. So began my love affair with Polaroid. It’s easy to believe in magic when you’re little and you’ve not yet seen enough to be cynical. Like Father Christmas and flashing trainers, an instant camera made no sense - and I loved it. I guess I was the right age: there are only a few years when you’re old enough to question, but young enough to take that leap of faith. Life is too short - and too much fun - to waste precious toddler-time on scepticism. My instant camera took an instant photo and that was that. But I’m twenty now and the magic hasn’t gone. If anything, the form has even more mystique and allure today. 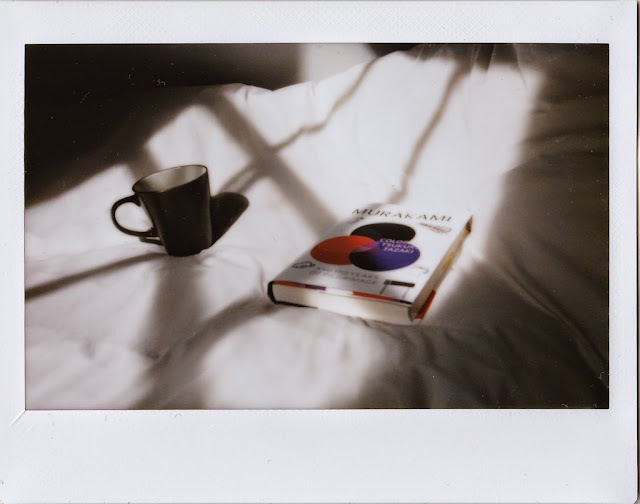 I love the physicality of a polaroid and the immediacy of a blog. Stories take time to tell, but an instant photo is, well, instant. Sometimes the story is all in the photo and it doesn’t need to be elaborated by words. Sometimes the photo is abstract and the story is all in the words. It’s an easy way to build rapport with readers as they eavesdrop on intimate conversations and see snapshots from my travels. 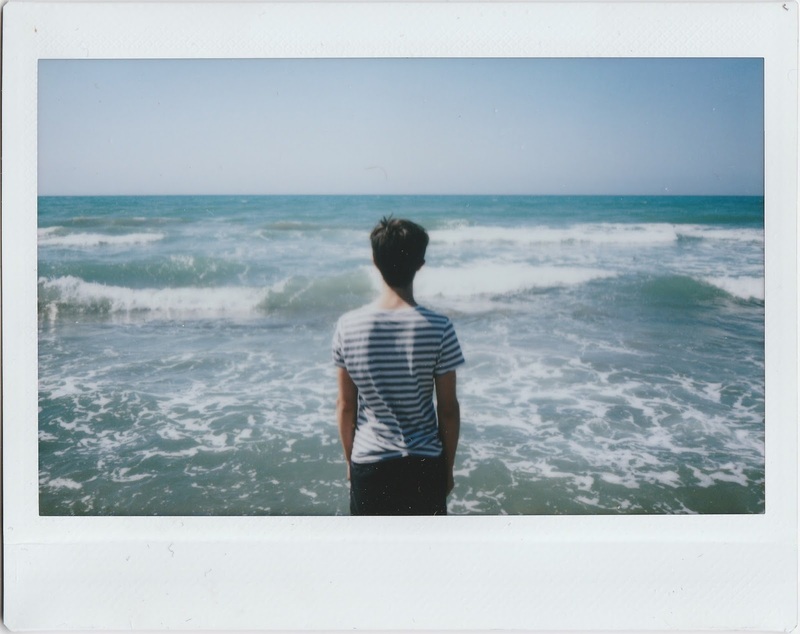 Instant photography is an old form revived by new media and I’m excited to see how it evolves. Today, we’re living in the age of Snapchat, where spontaneity is staple. If you didn’t take a photo of that coffee, I’m sorry — it just didn’t happen. It’s the first cardinal rule; do you know anything? Scott Hardy, CEO, recently described Polaroid as the first social network. And it kind of was. We all want to share stuff, and whether that’s through art or social media, most of the ways we record our experiences are online. By the late 2000s, our digital photo albums had reached saturation point. In the last few years, I’ve taken so many thousands of iPhone photos that each individual one has little meaning. In a sea of images, a single photo is a drop in the ocean; and the memories it holds are diluted, too. A polaroid, on the other hand, is a concentrate: you take only a few and they end up in breast pockets and wallets. We’re a generation of over-sharers and polaroids are refreshingly private (it’s no coincidence that early instant photography was mostly pornographic - so I’m told). They’re spontaneous - like Snapchat - but they also stay around for more than ten seconds. It’s a happy marriage of a satisfying physicality with twenty-first century instant gratification. I’m sold — can you tell? So apparently that’s The Place of Polaroid in the Digital World. If it were easy to quantify its magic, it might not be so magical at all. But as our memories fade and our photos float in cyberspace, it’s a comfort to be able to reach out and touch something tangible that says, I lived that! I was there in that place at that time and I remember it now with this picture in my hand! So let’s live and let’s share because there’ll come a time when Snapchat’s not around and neither are we.